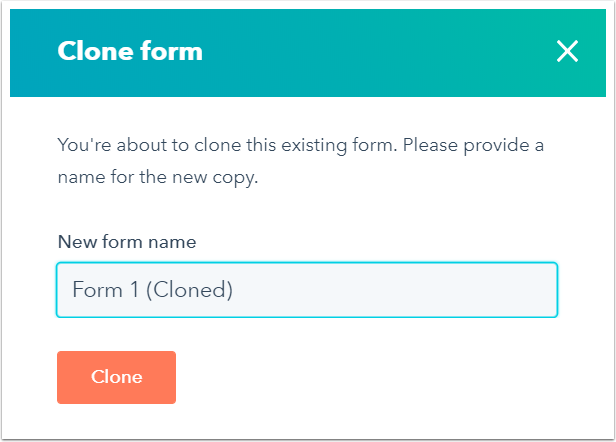 Hover over the form you want to clone. 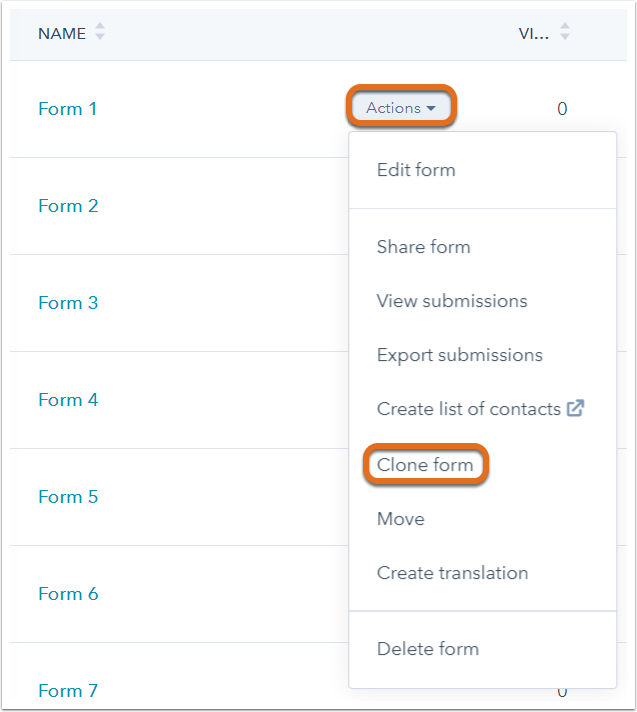 Click the Actions dropdown menu and select Clone form. In the dialog box, enter your new form name and click Clone.